Greg Martorana cuts the ribbon to open the Grande Villaggio property. Photo by Jennifer Jean Miller. 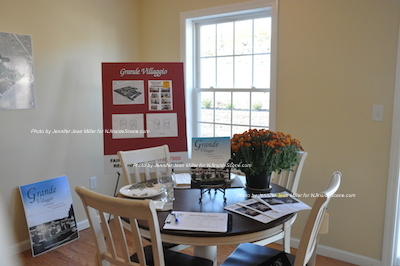 NEWTON, NJ – The new housing development in Newton, Grande Villaggio at Newton, a Martorana Enterprises, LLC development, celebrated its ribbon cutting this afternoon, Thurs., Oct. 29. “I’d like to say ‘congratulations’ to the Martoranas,” said Newton Deputy Mayor Sandra Diglio, who looked through both models open during the ribbon cutting for viewing. 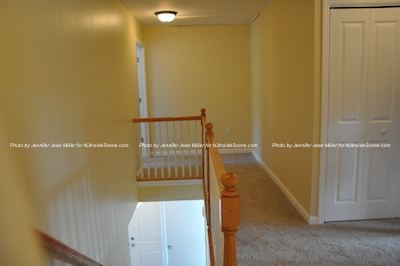 All units feature three bedrooms, though the end units have two car garages, and the others, one. 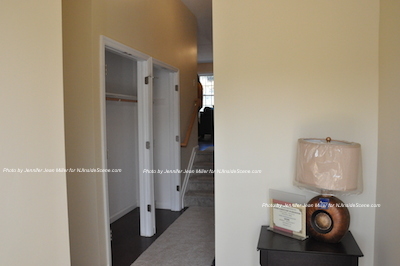 The new community, located off of Sparta Avenue in Newton tucked behind the shopping center with Quick Chek and Krave Caterers, boast units with hardwood flooring, plush carpeting, elegant tiling in the kitchen and baths and spacious, walk-in closets. Each home features a backyard patio and yard area. 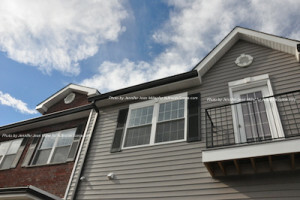 There will be a clubhouse for the 54 units in the neighborhood, bike paths with connections to the nearby Pine Street Park. A view of two of the Grande Villaggio condos. Photo by Jennifer Jean Miller. The new section of Newton is conveniently located to the downtown and a quick jaunt to all the major commuting roadways in the county. 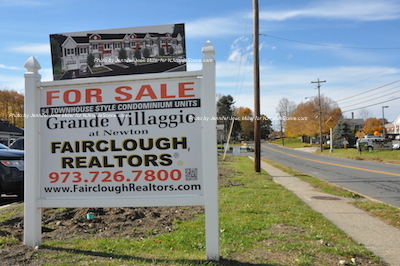 “We’re looking forward to working with the community on offering them these open units at this great price,” said Lisa Fairclough of Fairclough Realtors and Property Management. Grande Villaggio’s entrance on Sparta Avenue. Photo by Jennifer Jean Miller. 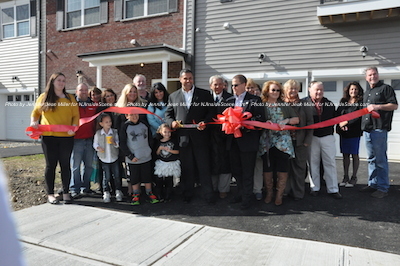 Property owner Greg Martorana and his family were present for the ribbon cutting, along with local dignitaries. Others present included: Newton Town Manager Thomas S. Russo, Jr., Deputy Town Manager Debra Lockwood Millikin, Freeholder Gail Phoebus, and Surrogate Gary Chiusano, who was an Assemblyman with Legislative District 24 when the project was in its planning stages. A view from the dining area. Photo by Jennifer Jean Miller. Grande Villaggio in the upstairs of one of the condos. Photo by Jennifer Jean Miller. Tammie Horsfield, President of the Sussex County Chamber of Commerce and Nancy Woods, Executive Director Greater Newton Chamber of Commerce, were also in attendance. 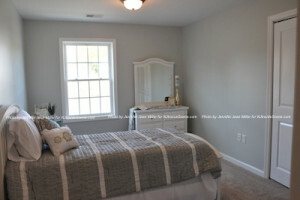 A bedroom in one of the units. Photo by Jennifer Jean Miller. The entry in one of the model units. Photo by Jennifer Jean Miller. Like this story you’re reading here? 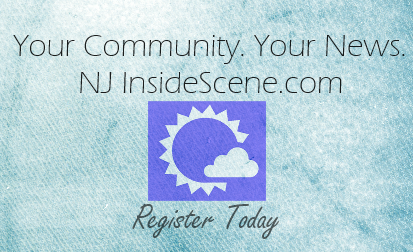 Then stay on the scene with NJ Inside Scene and click here to like InsideScene.com on Facebook.